While working at the Boeing Company in Auburn, the Lord gave Pastor Hicks a vision that God would raise him up a church. Thusly, children began coming to the church and the pastor’s daughter, Angelia formed the first choir at Unity. We were growing rapidly; souls were being saved (Missionary Lillie Adams was the first member to receive the Holy Ghost at Unity). The ministry was really on the move for God, but we needed a place to call home. While the Pastor was in Memphis, Tennessee at the Holy Convocation, Sis. Annie Daniels, his sister, located a building on the corner of Rainier Avenue and South Findlay Street. When the Pastor returned to the city, the church moved into the new facility. Bro. David Slaughter, after becoming a member formed another choir which took on the name “Voices of Unity”. Mother Flowers was appointed as our Church Mother and Sis. Hicks became President of the Women’s Department. Also, various other auxiliaries that are vital in the operating of a church including the Usher Board and Mssy. Margaret long formed the Nurses Board. Very soon the little building that we were worshipping in on South Findlay became inadequate to accommodate our growing congregation, so a larger building was sought. We were blessed after much Prayer and Fasting to purchase a larger facility at 4055 - 38th Ave. South. Many wonderful things happened at our new church, soul were saved and added to the church. Many outreach ministries were formed, young people were married and families were added to the church. Truly, God was raising up a church as Pastor Hicks had envisioned. In 1986, we totally remolded the building to accommodate our growing membership. We would like to thank Powerhouse Church of God in Christ and Pastor Henry Jenkins, who when we needed a place to worship the last month or so of our remodeling, allowed us to come in and worship with them. The church began to grow and there was a need for us to have two morning worship services, one at 8:00 am and another at 11:30 am. 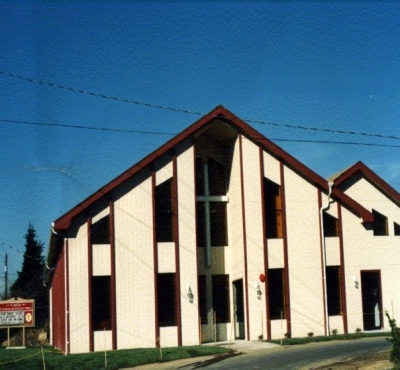 In 1991, the Lord impressed upon the Pastor Hicks and the members of the church to build a larger facility that would be esthetically appealing so that we could carry out the work as commission by the Lord and proud to bring others to worship, have weddings and other events. We purchased the land at 8302 Renton Ave. South from Holy Temple COGIC. 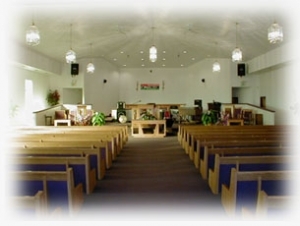 We acquired the services of RJM and Associates and began to plan and design for the building of the new sanctuary. We were blessed to have members of the church, Dea. Keith and Sis. Annette Demps construction company (A & D Construction), agree to be our general contractors. Bro. Clifton Maxie and sons, who are members of the church, and son-in-law to the pastor agreed to become our painting contractor. We were now ready to begin work on this tedious project. During the construction of our new facility, we were blessed to be able to worship in a beautiful sanctuary belonging to Pastor Dullan and the Seventh Day Adventist Church Congregation on Othello Ave. S, to them, we extend our heartfelt gratitude. The new church was built, a large number decided to leave. This placed a burden upon the pastor’s heart and caused a great financial hardship upon the church. Through a partnership with Mssy. Angelia Maxie, Director of Tiny Tots Development Center, they begin leasing space from the church to run some the center’s programs. Her agreement to lease the space resolved their space issues and help the church by reducing it’s contribution to the new monthly mortgage. God never shut a door that He does not open another. The membership began to grow again and souls were saved. To God Be The Glory! Now, after years of much fasting and praying, giving of our finances and time, we are reaping the fruits of our labor. Since the occupancy of our sanctuary here on Renton Ave., many souls have been added to the church and we can actually see the fulfillment of our Pastor’s vision coming int fruition.